JULY 8, 2009, LIBEREC — US Team cyclist Charles “Syd” Lea took third place in the Men’s 5km Individual Time Trail held in wholesale nba jerseys Cesky Dub, Czech Republic on July 7. The event was for held on day one of a five-day competition as part of the Global Games world championships. Lea received his bronze—the first medal ever won by a US athlete at Global Games—at a ceremony cheap nfl jerseys held at the Athletes Village in the afternoon. The gold medal for the event went to Portugal while the silver National went to Australia. Also on Team day one of competition, US Team swimmer Maria D’Andrea won the 2nd heat of the Women’s 800m Freestyle, placing 8th overall. This result would have qualified her for the final, however, event organizers opted to finish according to heat time in lieu of a final Hacked for the long distance events. 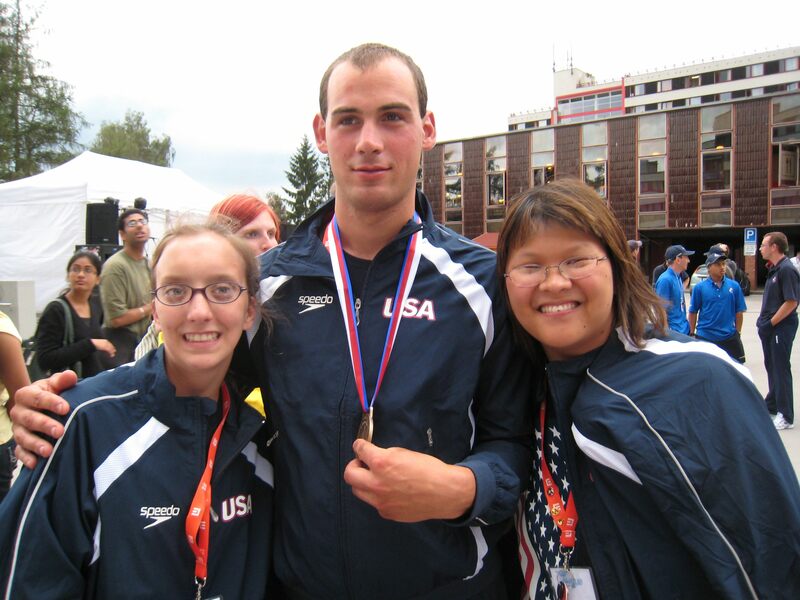 D’Andrea and teammate Gail Morning will swim 2-3 events per day over the four-day world championships and are the first swimmers from the US ever 2 to compete at the Global Games. Following the swimming competition, D’Andrea and Morning will also participate in a demonstration indoor rowing competition by competing in the individual 1,000m time trial. Rowing is a new sport for INAS-FID. The first INAS-FID World Indoor Rowing Championships for athletes with intellectual disability will be held December 2009 in wholesale nfl jerseys Hong Kong.